Are you looking for a quick, easy, healthy lunch, which can eat ‘n’ times. This is just about the easiest flavourful rice. It begins with brown rice and loaded with cilantro and parsley for brilliant color and unique taste. I added jalapeno for a spicy kick as an optional ingredient. 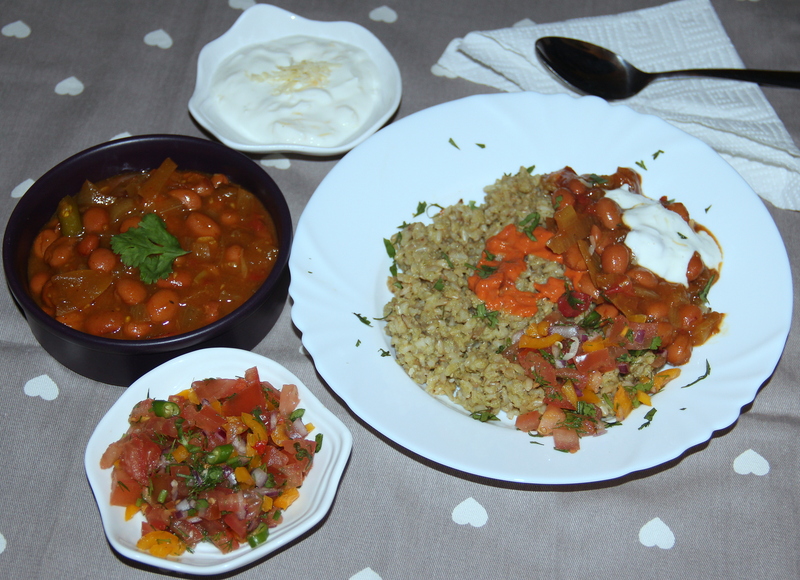 Enjoy with Coco beans curry (Recipe link). Like more toppings to your meal add Mexican Salsa (Recipe link) and sour cream. Fresh herbs have a place in any health-conscious kitchen because they add bright, fresh flavour to your meals while being low in calories, fat and sodium. Cilantro and parsley are no exceptions. Place cilantro, parsley, onion, garlic and 1/2cup water in a food processor and pulse until smooth. Heat the oil in the thick bottomed pot on high heat, add rice and stir to coat all of the grains with oil and let the rice lightly brown. When the rice is browned, scrape out the cilantro-onion puree from the food processor into rice. Add salt stir evenly mix the puree with rice. Let it cook for a minute or two. Then add the rest of the water/stock to the pot. Bring to boil, then reduce the heat to a low simmer and cover the pot. Let it cook on a very low flame for 15minutes or until the rice is cooked. Long grain rice can also be used. 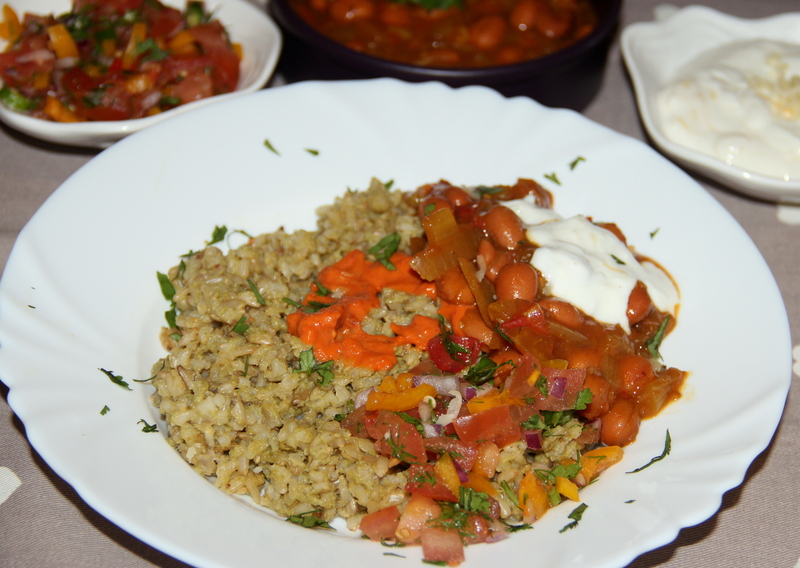 Posted on November 17, 2014, in Indian, International, Main Course, Main dish and tagged Chitras healthy kitchen, drchdietfood, Mexican meal ideas. Bookmark the permalink. 9 Comments.